LaBoheme is a bakery shop found at AEON stores, usually located outside or near to supermarket or groceries section. 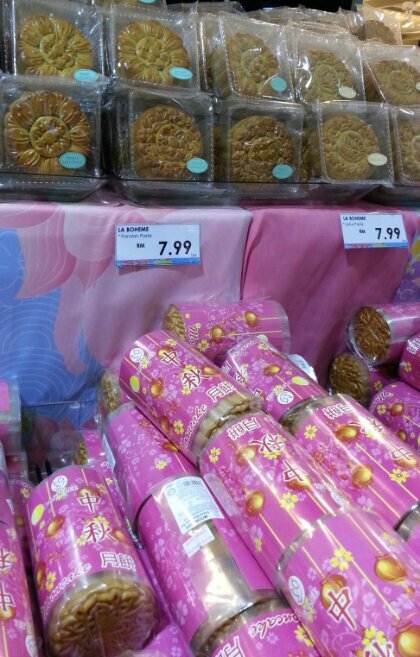 They sell mooncakes wrapped in a more generic manner- about 5 in a bundle. And also single ones costing about RM7.99. This is much cheaper than the ‘branded mooncakes’ that average about RM14- RM16 for the lotus paste. You can get this at Laboheme outlets at AEON (formerly known as Jaya Jusco).